While many of us have been hyped about The Last Jedi and everything that was revealed at D23 last week, production on the untitled Han Solo film has continued at Pinewood Studios in London. Director Ron Howard has been surprisingly open with fans online since taking on the job last month. He has posted numerous photos on his Twitter and Instagram, some of which have caused quite in the fan community. 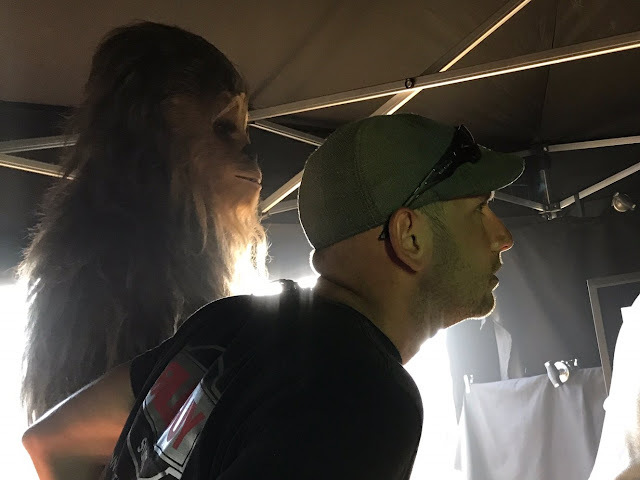 Today, Howard shared a brand new photo from the set showing crew members alongside Han Solo's trusted co-pilot Chewbacca, played by Joonas Suotamo, staring at a monitor. The caption for the photo reads, "#Chewie checking the shot. #UntitledHanSoloMovie". 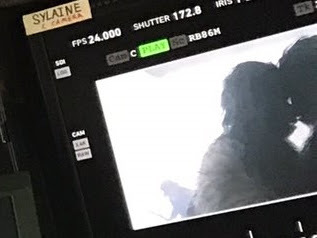 Of course this has led to much speculation about whether or not we will be seeing other Wookiees in this film, or specifically, Chewbacca's family. It was established in the infamous Star Wars Holiday Special that Chewbacca has a wife named Malla and a son named Lumpawaroo. And while the content of the special has been mostly ignored in official Star Wars continuity, the idea of Chewie's family been reflected in both Legends and canon. A portion of the recently released book, "Aftermath: Empire's End", deals with Chewbacca reconnecting with his family on Kashyyyk. Could the Han Solo film show Chewie bidding farewell his family in order to fulfill a life debt to Solo? All of our questions will be answered on May 25th, 2018 when the Han Solo standalone film hits theaters!